 Welcome to the ArtsEd Lab Online Magazine. This whole new redesign of our content provides you with the ultimate in flexible professional development. This introduction gives you a taste of what’s to come in our inaugural issue – coming on April 1, 2017! A “prelude” is an introduction to any musical composition. This seemed a fitting way to being this brand-new way of providing you with high-quality professional development in Arts Integration and STEAM. We’re moving away from a traditional “blog” and more into a 21st century magazine that you can peruse at your own pace. Well, with over 2,000 articles/resources/lessons, this site is both comprehensive and a bit…overwhelming. And with adding a new piece of content everyday, teachers have been struggling to keep up with it all. This change allows us to provide you with the latest ideas and resources, while providing you with the flexibility to choose how you’d like to consume it. On the 1st of each month, we’ll release a new issue right here. The issue will contain 18-25 new articles, videos, resources and lessons you can view and use. You can then either view everything at once right online, or take your time and view a few articles at a time. The choice is yours! You’ll even be able to download a PDF of the entire issue if you’d rather print out the issue. We’re officially launching our inaugural issue on April 1, 2017. But this is a big change! So we wanted to provide you with a preview…a prelude…of what’s to come next month. So take a look at the articles and resources we’re featuring in this prelude and enjoy this exciting new way to receive arts integration and STEAM PD. Libraries, Makerspaces and STEAM Labs: What’s the Difference? Prefer to read this issue offline? Download this issue as a PDF and we’ll email it right to your inbox. So you can go through everything your way.